The word ‘stuffed’ (when describing a dish,) typically conjures up visions of savory cheeses, spinach, and a variety of other delectable ingredients – delicately wrapped inside a piece of tender meat or hearty pasta. 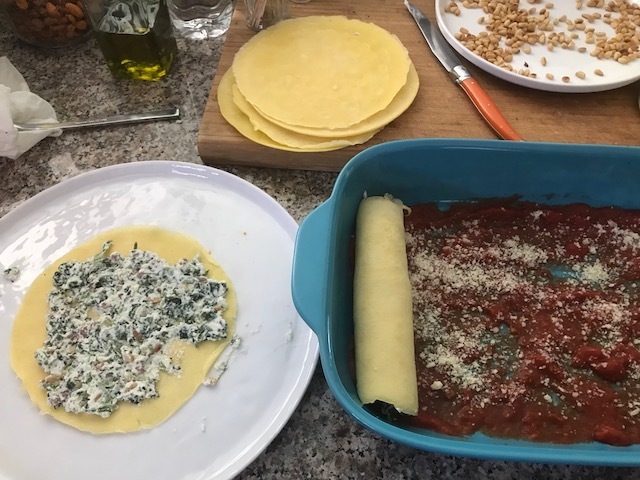 Today I made homemade manicotti shells, a la crepe-style, and stuffed them with a mixture of Ricotta and Parmesan cheeses, spinach, toasted pine nuts, and crispy pancetta! 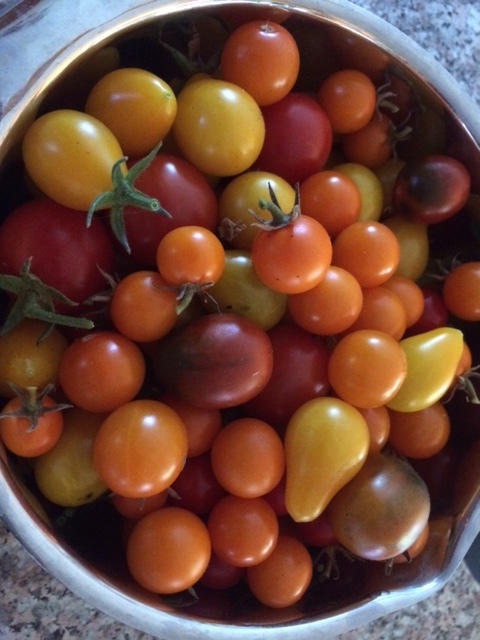 (Add anything you’d like – mushrooms and/or sun-dried tomatoes would have also been tasty! Leave out the pancetta for your vegetarian friends.) 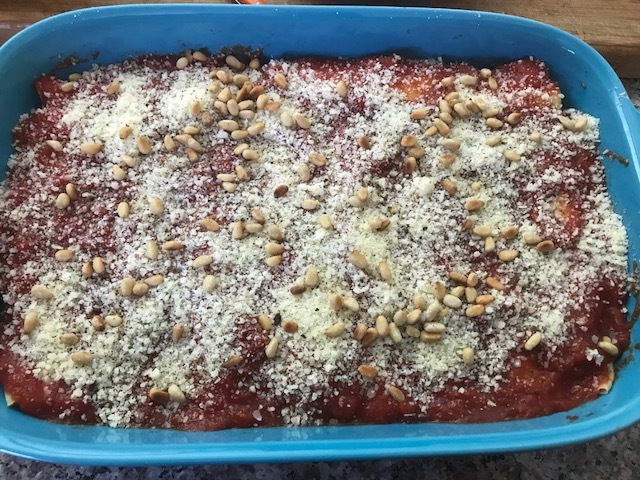 A real show-stopper, especially when your guests find out you made the manicotti shells! 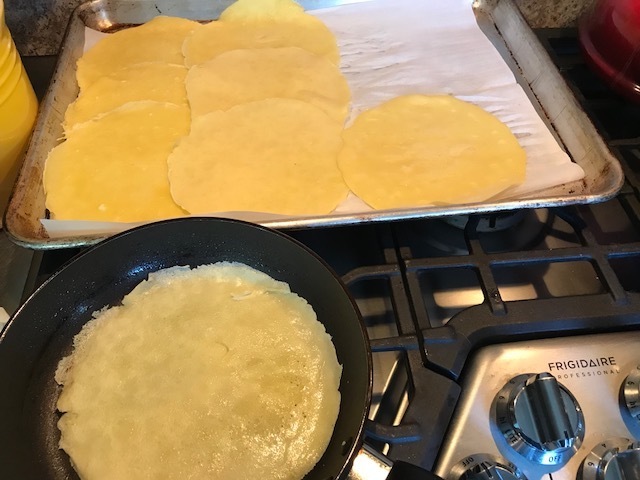 It honestly couldn’t be easier: Make the batter, quick griddle the manicotti shells/crepes, mix up the filling – and you’re ready to roll, literally! 1.5 Cups Flour, 1.5 Cups Milk, 6 Eggs – Whisk together until smooth – drop onto lightly greased skillet or griddle – making thin crepe-style manicotti shells. They cook very quickly – maybe a minute or two with a quick flip. 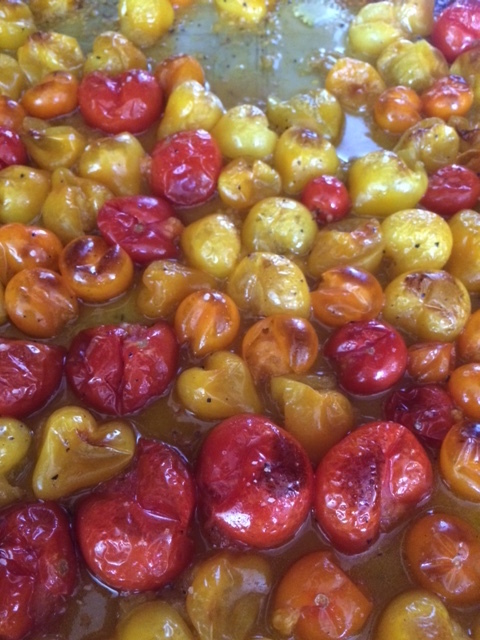 Remove from pan to parchment-lined sheet pan. Spread filling in a thin layer, roll ’em, and place in a baking dish with sauce on the bottom. 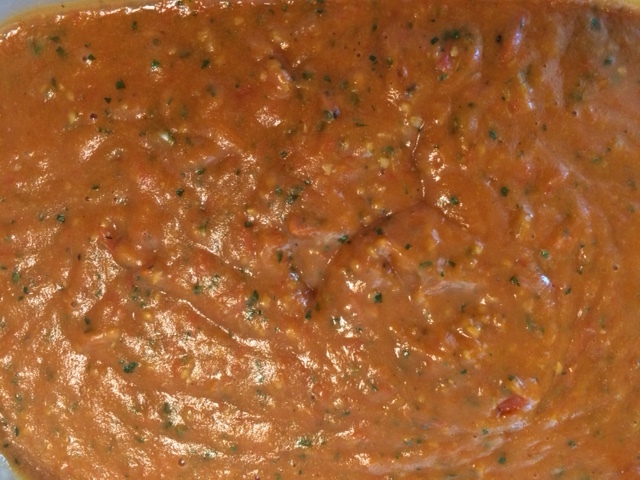 Top with additional sauce and cheese, and it’s ready for the oven. 375 F (Covered – 30 Minutes) Remove foil and continue baking until bubbly and golden-brown! Buon Appetito! Last day of winter break before going back to work tomorrow, so what better way to spend part of it than making homemade fresh pasta, Cavatelli to be exact! My absolute favorite! It’s very similar to a (potato) gnocchi, but made with ricotta cheese, and instead of little dumplings, the dough is rolled into little shells. 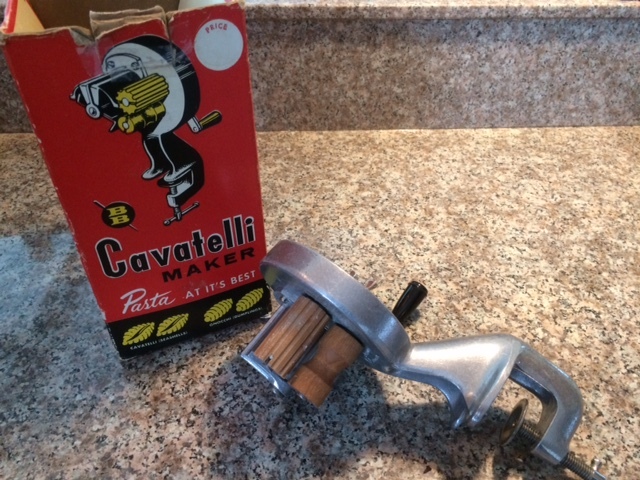 I posted this very easy (3 ingredients) recipe a while back, and today’s updated post shows the same pasta made with my very vintage hand-crank Cavatelli machine. 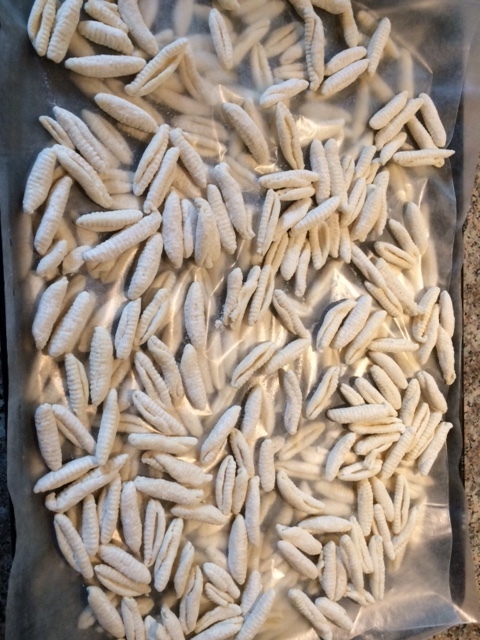 The previous post, Sunday Cooking, shows a picture of hand-rolled pasta shells. A little more free-form than these more uniform shells, but either way, they’re great! (If you do get your hands on a machine, it’s even more important to have very dry and well-floured dough so it doesn’t get stuck in the machine! Thanks, Dad, for that in-the-moment advice!) 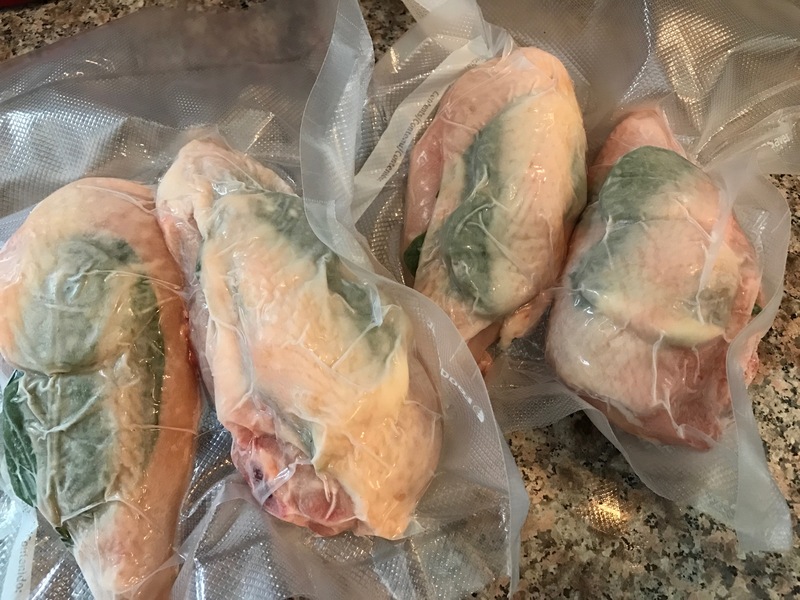 It’s a good idea to lay them in a single layer on a sheet pan to freeze so they don’t stick together when put in a freezer bag for storage. 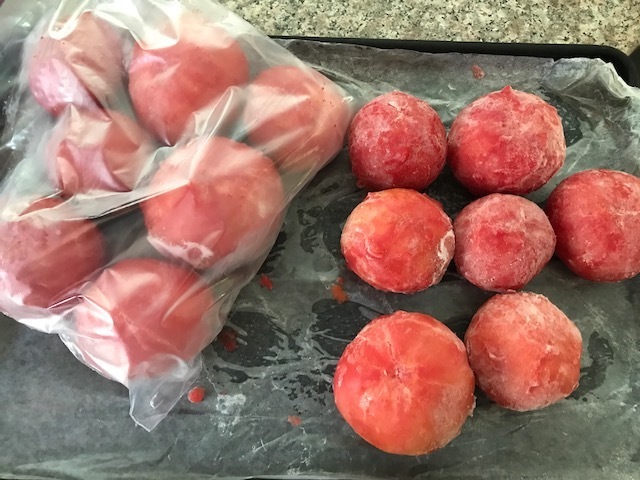 Take them right from the freezer into a pot of boiling salted water for 4-6 minutes. They’ll float to the top when ready! Buon Appetito! You know I’m a big fan of Ina Garten (aka Barefoot Contessa on the Food Network.) As we’re getting into this fall time of year, you might be looking for something a little different to make for a dessert treat – so here it is! 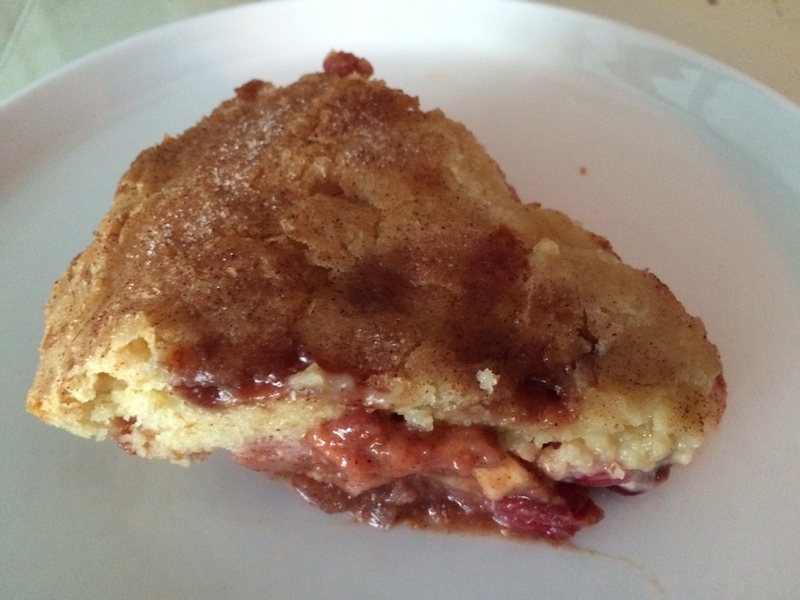 Ina’s Easy Cranberry Apple Cake. Given that fresh cranberries were not available yet, I substituted a 10 oz. bag of frozen and it was great! 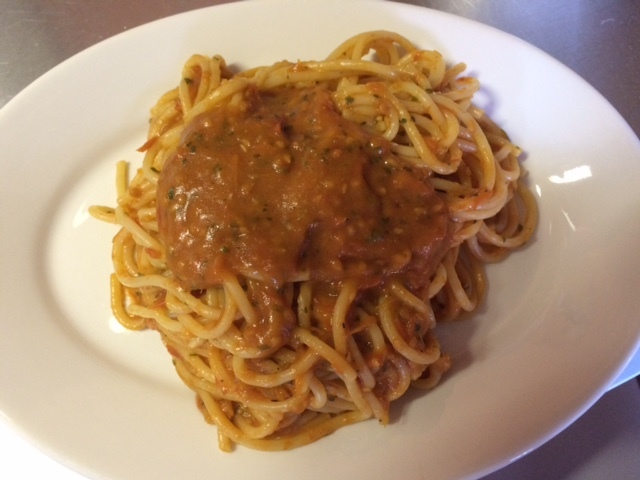 As with every Ina recipe, you won’t be disappointed! Enjoy! 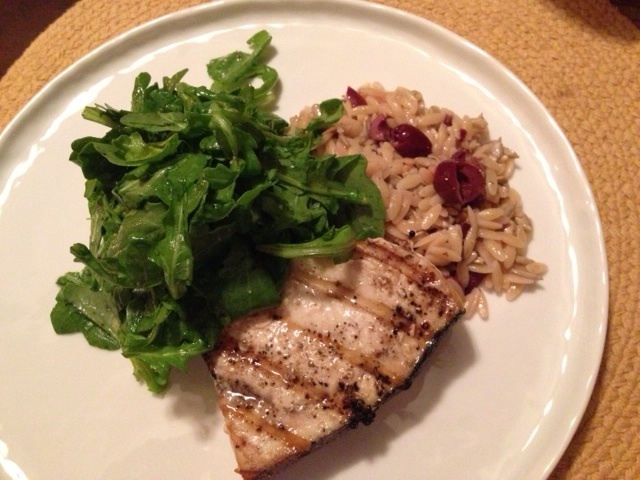 Grilled Swordfish – Light, Nutritious, Delicious! 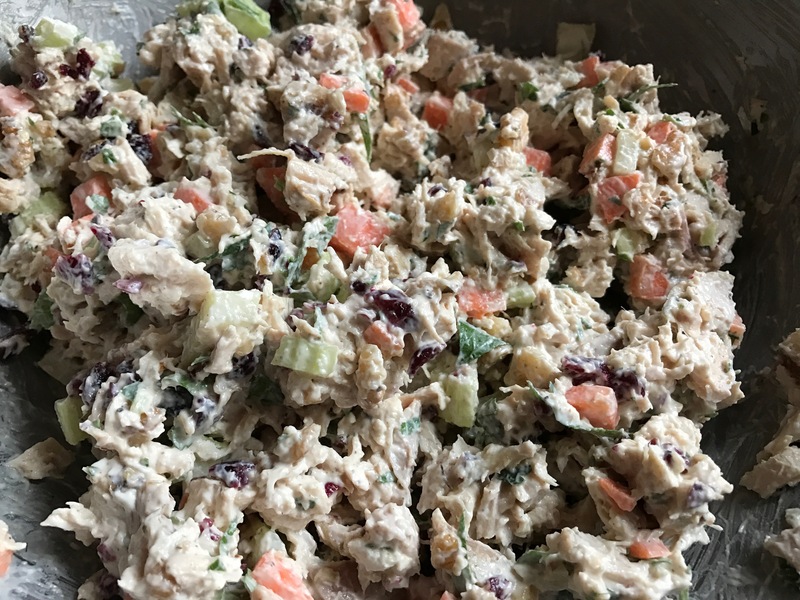 Easy to prepare, light, delicious, satisfying, and nutritious! 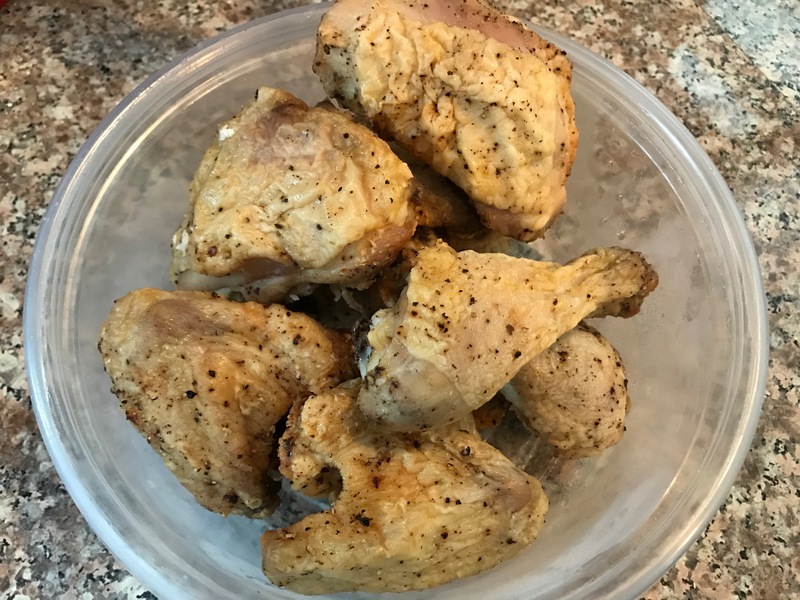 This dinner can be on the table within 15 minutes! Prep: 3/4 cup Orzo Pasta, 1/2 cup mixed chopped pitted olives, juice from half lemon, 1 TBSP (each) Butter and Olive Oil, 1/2 cup chopped unsalted roasted pistachios (or I used roasted/unsalted sunflower seeds), 2 Swordfish Steaks (lightly olive oil, salt, pepper). Bring enough salted water to a boil to cook pasta. Light the grill or heat a grill pan (medium-high). Cook pasta for about 8-9 minutes (to your liking.) At the same time, grill swordfish , turning once. When pasta is to your liking, drain and return to pan. Stir in the butter, olive oil, olives, and lemon juice (salt/pepper to taste.) Remove swordfish from grill and lightly cover with aluminum foil to let rest for a few minutes. So easy, so delicious. Enjoy! Buon Appetito!